The Master University scored goals in the 6th and 19th minutes to maintain a 2-0 heading into the first 30 minutes of the Match. However, in an Inspired night, Rodrigo Costa led to a stunning come-from-behind victory for the Conquistadors. Maximiliano Schenfeld opened the process with a goal assisted by Rodrigo in the 39th minute to cut the deficit in half 2-1. Pedro Veiga then assisted on Rodrigo Costa goal just 4 minutes later to suddenly tie the match 2-2. The second half was still plenty of time for some Florida National University theatrics in regulation. 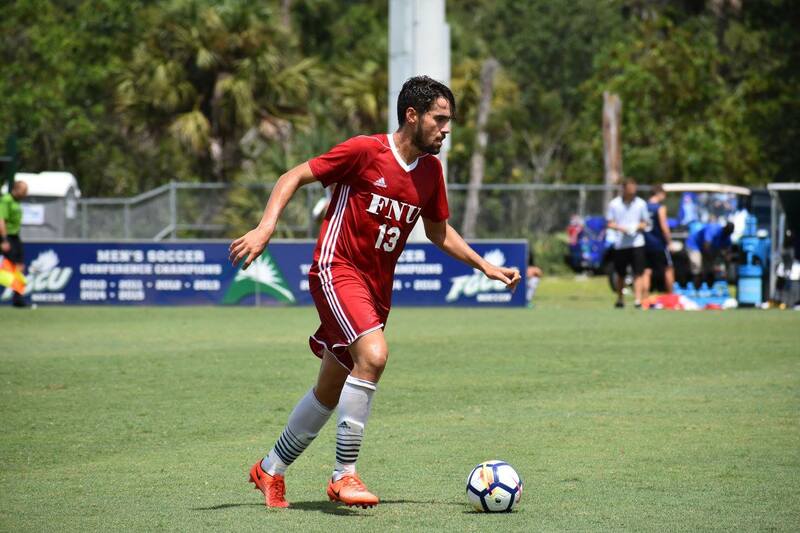 With 25 minutes remaining on the clock, Rodrigo Costa finished the shocking comeback with an unassisted goal and with 5 minutes left, again Rodrigo Costa scored assisted by Constantino Higa and Florida National improves their mark to 9-1-0 this season. The Conquistadors return to the pitch next week for the game against Vanguard University on Thursday, September 20th at 4 p.m.